Before I started quilting about a year and a half ago, the only thing I knew was hearing about high quality Amish quilts sold in locations like rural Pennsylvania. As ridiculous as that sounds, that really was my only point of reference. One night, years ago, I looked up some websites that peddled these quilts and experienced sticker shock at seeing them at $1,000+. As a novice quilter – I’ve come to understand that $1,000 is actually a *very* reasonable price considering the fact that Amish quilts are hand quilted, which is far more time consuming than machine quilting. Yet, at a day in age when one can go to a big box retailer and purchase a manufactured quilt for $50 or less – without question – there is a huge pricing gap comparing store bought vs. handmade quilts. Quilting is an industry that can be difficult to understand unless you do it. If you aren’t a quilter – I’d really like to encourage you to keep reading to learn about the business behind it. Every four years, marketing gurus with F+W Media conduct comprehensive research to learn about the spending habits of quilters. The 2014 Quilting in America survey found that there are 16 million active quilters in the country – meaning one out of every 20 Americans. Their buying power each year is $3.76 billion – with “dedicated quilters” spending over $3,200. What I found jaw-dropping was the statistic that dedicated quilters typically own $13,000 in tools and supplies, and their fabric stash is worth close to $6,000. One aspect of the industry that I find to be mind-boggling and inconsistent – is pricing quilts. I do not sell quilts that I make. Because I work full-time and have to carve out time for my hobby on days off, it takes me about two months to make one throw sized quilt. Plus, I enjoy other types of sewing like bag making and home décor, which cuts into time I would otherwise be quilting. So the few quilts that I am able to complete, I want to either keep them or give them to family/friends as gifts. Part of my reasoning is because, quite honestly – I would not be able to sell finished quilts for a price that is worth my time. Through a quick browse on Etsy, you will find quilts of various sizes and skills priced anywhere from $70 to $3,750+. This huge, huge range in pricing makes it very difficult for quilters trying to sell quilts and puzzling for people interested in buying them. I sought answers and perspective from others in the quilt world, so I reached out to several people who have a quilting and/or sewing related business. And let me tell you, the response and enthusiasm to chime in was overwhelming. Also – the scope of people interviewed for this story come from all walks of life. They are women (and a man!) of different walks of life, and most are actually younger people under age 40 spread out across the globe. Recently, I discovered a man from Australia who makes award-winning quilts – he goes by the moniker “Molli Sparkles.” He wrote a guest post on Sew Mama Sew that went viral in the quilting community about placing a value on quilts. Making the simplest baby quilt he possibly could – when accounting for materials, labor, and a 10 percent profit margin (after all, most companies factor in profit!) – the value equaled $225 USD. This was an extremely basic quilt with simple blocks, no design fee (he usually factors in a design fee for the concept and color selection), and faster machine binding. Still, I have seen quite a few baby quilts listed on Etsy for far below that price – which means these sellers are likely not paying themselves much (or at all) for their time making the quilt and definitely not making a profit. Of course – for potential customers – if they see similar quilts listed for $100 or $225 – they’re going to purchase the $100 quilt. Then the seller who listed their item at $225 either makes no sale or has to lower their price to compete in the online marketplace. Then there’s the additional pressure to price match to major retailers – where you can purchase a “quilt” for $50 at the lower end to $400 at higher end designer home stores. Can price define the market? Suzy Williams has been quilting for 14 years, and owns the handmade quilting business Suzy Quilts, in addition to working as a full-time freelance graphic designer. Williams’ baby quilt prices start out at $200 for the made-to-order designs, and $325 for custom orders. She believes there is an inaccurate price perception for quilts, because most of the textiles bought in the United States are manufactured overseas for a fraction of the cost. On Facebook, I conducted an informal poll among friends and asked what they thought a baby quilt cost accounting for materials and labor. The responses back guessed anywhere from $35 to $350. That is a pretty massive disparity. Angela Greenwald, owner of Etsy shop Little Bug House; and Marni Franks of Frankenstein’s Fabrics, both offer “loss leaders” in order to gain potential advertising. “I do cot quilts far cheaper than I would normally charge, because I know that they won’t sell for the true price,” said Franks. Sam Hunter is behind the We Are $ew Worth it Movement, a movement that encourages makers to value their talent and skill – and price accordingly. Long time quilter Rebecca Ruch personally sent me several lengthy emails to share her passion for what she sees as a pricing issue. Ruch doesn’t sell quilts she makes, because she makes more at her day job. Instead of selling quilts, Kylie Kelsheimer of Sew Kylie, decided to open up an online fabric shop. And she’s not alone. I’ve noticed small, homegrown online fabric websites and Etsy shops popping up all the time. Besides inventory and an ecommerce site, there isn’t as much overhead when compared to a brick-and-mortar storefront. I discovered Faith Love Fabric (UPDATE: Now Sew Kylie) on Instagram, and Kelsheimer would often post flash sale announcements there. That’s how I placed my first order with her – I commented with my email address and she sent me a PayPal invoice. Days later I received a nicely packaged parcel and even a personal Christmas card! Even still, Kelsheimer says she sometimes gets requests to make a quilt for someone for free. How does she handle this? Sara Lawson of Sew Sweetness loves making bags, clothing, and quilts. She designs bag patterns, and her first book is called Big-City Bags. Her second book, Windy City Bags, is due out this fall. She has also designed two lines of fabric for Art Gallery Fabrics. I have personally been following her blog for quite some time, and absolutely love her bag patterns and tips on the website. She is also in the large camp of quilters/sewers that does not sell finished products. Lawson told me she makes fewer than five quilts per year, and also likes to keep them for herself or gift them to family members. As far as a divide in the perceived value of quilts and the actual value, she believes it’s just a matter of lack of knowledge. She released the gorgeous book Make + Love Quilts, served as editor of Quilty magazine (which is sadly, closing up shop soon), and also blogs regularly on her website – MaryFons.com. While in New York for two weeks last year, I randomly saw her post on Facebook about having a meet-and-greet event at The Yarn Company, which wasn’t too far from where I was staying. It was happening the next day and I knew I had to be there. Well – I went and she is one of the loveliest, most genuine people you could ever encounter. She excitedly talked about quilt history, and showed off her beautiful quilts and for me – I felt like I met a rock star. Months later, I attended Quilting Live! in Atlanta and signed up for a Churn Dash Block class Fons was teaching. Despite being in the emergency room hours before it started (read about it here), she explained that she would rather be here with us instead of lying in bed. That’s someone who is truly passionate about that they do. Fons also told me she has never sold a quilt in her life. Quilty has two videos that are must-see on the topic of quiltonomics. The first features a guest appearance by Marianne Fons – focusing on the business of selling quilts, how most quilters don’t sell quilts, and that people who are in the quilting industry actually shift more towards teaching, writing books/patterns, or doing what they do – hosting a TV show. What I found most interesting about this was that Marianne, who I would certainly qualify as a quilting expert, at one point says she doesn’t recommend quilters sell quilts. This second is aptly titled “Attack of the Pre-Fab Quilts” – Fons explains the difference between handmade and manufactured quilts. She also makes a great argument on why anyone who wants a quilt would be better served by learning how to make one instead. My other first brush with learning to quilt was the blog Diary of a Quilter, run by Amy Smart. Smart is a thirty-something wife, mother, and quilter. She posted a series on her blog called ‘How to make a quilt from start to finish.’ The instructions are easy to follow, and there are accompanying photos for visual learners like myself. Smart is the author of the book Fabulously Fast Quilts, contributed to the book Scraps, Inc., and also sells patterns in her online store. Her work has also been featured in way too many publications to even name, but you get the picture… She is a highly talented professional quilter. When she first dipped her toe into the quilting industry waters, Smart did originally sell baby quilts on Etsy, and knows firsthand about the difficulty with pricing. She recommends that sellers in the U.S. need to decide where to value their time and resources, and realize that the general public is trained to get cheap clothes and home goods made elsewhere. But there is a market of buyers who recognize the value of well-made, intricate quilts constructed with high quality designer fabrics – although tapping into that market takes effort. One example Smart pointed out of someone who was able to find an untapped market and cash in is Susan Petersen, a Utah woman whose baby moccasin business Freshly Picked skyrocketed to exposure after appearing on the ABC TV show ‘Shark Tank’ and accepting a deal with Daymond John, who is known for his fashion expertise. Lawson says found her way into the sewing industry organically through her blog. As for Smart, she also had to figure out her own market potential over the years. Speaking of making quilts – existing quilters love to see new quilters taking up the craft and encouraging them. Most I talked to would be happier teaching a friend to make their own quilt, rather than making and selling one themselves. Fons noted that the Quilting in America survey had mixed results on whether quilting was in a boom or bust period. When asked what the biggest misconception people who don’t sew or quilt have about the industry, several quilters answered: That it’s just for grannies. “I think people are always surprised by the young, hip designers and sewists who are revitalizing and enjoying the industry,” Smart observed. Williams and Fons also addressed the factor that fewer and fewer people are learning how to sew at a young age in the home, and that startup costs are pricey. Author’s note: Huge thank you to all of the quilters interviewed – your insight and words are so powerful and you truly bring this story to life! Also – I know this topic can be somewhat controversial – if you leave a comment please be civil, respectful and constructive. 117 Responses to "Quiltonomics: The Real Cost of Quilts"
Great article! I agree with everyone. I rarely sell quilts because it’s just too soul destroying trying to justify to potential customers why they cost so much. I do however, well smaller sewn items at quilt show boutiques. I’m often asked by other crafters how to price their items and the only advice I can give is to sell for a price at which they feel their skills and time are being valued, and that they feel good about. No one should sell their work for so little that it makes them feel demeaned or belittled – at that point you’ll have much more satisfaction if you gift your work to an appreciative recipient and receive heartfelt thanks in return! I agree with you 100%, I only sew and make quilts for my family, because they truly appreciate them and looks forward to what mom or grandma is going to make next as a surprise for them. Even my children that are grown adults now, if I make pjs at Christmas time for my grandchildren, I have make some for them too. I’ve been sewing since I was 11 and babysat all summer to buy my first machine, this is my first year of getting serious about making quilts because I didn’t like what they offer in the stores. I am even selective about what quilts I will make for different family members. Some understand sewing/quilting and appreciate the work, thought, expense, and time I put into a more complex and time consuming quilt. Others don’t. So for one I may spend many months making a special quilt just for them, where for the one less appreciative of all the work and costs involved,I will make a more simple, but still special, quilt. Although I have never quilted i have been sewing for 54 years and LOVE making little girls clothing as well as drapes,pillows etc. As far as pricing for others I have GIVEN my work away to avoid the topic. Thanks to you this ends today. I’am not bragging to say I do beautiful dresses(as well I should after all this time). It just felt so off to ask for money-never sure why.One day I told a co-worker what the true cost of a project I had finished would have been if I had even charged min. wage for my time. You would have thought I had put a gun to her head. No more free this or that unless it is a gift..The scriptures are clear that the worked deserves their wages and now I need to apply it to myself. Step one is for me to honestly ascertain the true value of work,count full and accurate cost of the project,then add enough for profit so the love does not change to resentment. Once more,thank you so much. I’ve sold one quilt. I sent my potential customer to the Molli Sparkles article on the value of quilts as a way to justify my price. I’ve sold quilts, small ones, I’ve bartered them and I’ve given them as gifts. If you don’t value your time and effort in building them… no one else will. And when people balk at the price… I remind them that it’s MY time, and creativity they are paying for… a one of a kind piece. If you want a Walmart price… go to Walmart. If you want custom work, come to me. Fantastic article! A high school friend recently asked me if I would make quilts for her two daughters and I politely declined. The first and most obvious reason is that there’s no way she would want to pay me $350+ per quilt, but also the fact that it’s too much pressure for it to be ‘perfect’ when someone is paying that much for something. You nailed it with this post! I’ll continue to make for my family and close friends, but beyond that, nope! Love the article and agree with it. I also do not sell my quilts generally, but do have one man that has bought 3. He understands about the cost of materials and is willing to pay for my time. But, that is the exception. I give them to family and friends mostly. I give each grandchild one for graduation from high school, which has kept me busy as I have 23 grandchildren. Also made for each of my 8 sons, which took me almost 2 years, But love it when they receive them knowing each one was specifically made to fit their personality. Selling quilts is not near as wonderful as seeing the face of the person you present a quilt to as a gift. Makes it all worth it. This is a great article. I have been quilting since the 2nd (or 3rd?) re-surgence of quilting in the 20th century….the boom in quilting that began around the Bicentennial in 1976. All the quilters quoted in this article are correct in the statement that you can’t make a living wage making quilts. You make quilts for fun or for yourself or for gifts. Everyone in the quilting industry who can support themselves is doing something else…writing books and patterns, designing fabric, teaching, etc. And even then I imagine it is a struggle to survive. This is not necessarily a bad thing, just a fact of life. I’m guessing you can’t make $$ by hand painting model train cars either (to refer to another hobby mentioned in this article). That’s just it…if you are making quilts, it is a hobby, not a business because as a quilter you can’t compete with China. But some people who started out sewing or quilting for fun have turned their enjoyment of the hobby into a business by specializing in writing books, patterns, etc. Much food for thought here. Great article. This is something I’ve thought about a lot too. In the Midwest here, there are also still church groups making and selling quilts to fundraise that grossly underprice their work. It makes it much harder to explain to potential customers why quilts I make are $800+. One trick I have is to tell people I do offer a sliding scale price. I ask them what they make an hour and rework the price with their wage as the fee for time spent. Funny how my original price is always lower! Rozina, sliding scale pricing method is brilliant! I love that concept. Most people who want me to make a quilt for them, make double what I did when I was working. But they expect me to take Jr’s hockey shirts and make a great quilt for them for next to nothing, because they are providing the shirts. So, how much more could the materials cost? Right! I love that sliding scale pricing idea — awesome! I offer quilts for sale at what I believe they are worth in time and materials, and then I don’t care if they don’t sell. I figure that having them priced that way helps educate people as to what they should cost. If I sell one at my asking price, I’m happy. And by not underpricing them, I feel better than I would by devaluing my time and the 20 years of practice that went into developing my skills, creativity, stash, and all! I’ve also invested in few quilts by other quilters, paying fair prices to own fine art in the form of a textile piece for the wall. They usually involve so much more effort than even a very good oil painting, for which people will may handsomely. I’d like to be part of the solution and encourage everyone to BE your true creative self and to VALUE that, whether you sell or gift your work! so well-written. This is something many of us are struggling with, and you put it all down on paper so eloquently. Someone just posted your article on my Facebook group, Late Night Quilters Club that I moderate, and I can tell you many of the group members will appreciate this article. Well done and thank you! I think one reason people sell things for far less than they may be worth is because we are going to make things anyway out of pure enjoyment. You aren’t going to see a plumber or electrician do that! If we’re doing it anyway, we might as well try to at least recoup our costs. I have been “guilty” of selling quilts for less than they are worth because I’m not trying to make a profit. . .just wanting some more fabric money for my next project! I quilt primarily for the pure joy of it! Great and motivational article. I am a beginner quilter. I feel support and got guidance from this article.thanks . Keep it up.. This article turned out fantastic! Such wonderful, detailed information from a breadth of sewists. Haha… I hope my remark doesn’t get me in trouble, but me and my big mouth gotta say it how it is! Kisses! I loved reading this article, it gave me a lot of insight on quilting. The reason I believe a lot of the younger generation doesn’t know how to sew is because they have taken out of the schools, if my school hadn’t offered it I wouldn’t be able sew or cook. Just last year (2014) I had the pleasure of teaching my granddaughter and niece how to sew and cook, they were both so excited. I asked them about it being offered in school and was told no they have nothing like it. I feel the school nay system is to blame, they use to offer wood shop, automotive, art, music and home economics that taught sewing and cooking. Personally I think they need to bring it all back and maybe the new generation could have something better to do instead turning into thugs. I totally agree with you Virginia! The younger generation doesn’t even know how to sew or how to cook. We’re missing out on a huge generation of guys and gals who given a chance exposed to these activities might become awesome quilters, seamstresses, designers, mechanics, woodworkers, carpenters, music and art related careers. I agree Annette. Our schools need to teach these skills to young people. Unfortunately with so much focus on passing standardized tests, there isn’t time to teach anything but how to pass the test. I taught my sons to cook, do laundry, etc. Not all young people are thugs. Generalizations are hurtful. I’m with you , our schools need to be teaching life skills. My son took home economics when he was in high school, only boy in the class but loved it. Aced the class , he is great at cooking, keeping his home, sewing and a career Navy boy and still says the class along with what he learned at home has made him what he is today. I’m so proud of him , now his 4 year old daughter has asked me to teach her how to sew so she can make quilts and clothes like I do. Wow ! I think it’s awesome. I love seeing the young in quilt shops buying fabric and planning their projects. I was given the chance to teach my grandson sewing and he loved it so much, we made a pair of flannel pants (with a pocket so he could wear them to school, no pocket=lounge pants) He wore them so much, his stepmom had to wash & dry them at night, so they were ready for the next day. This same grandson is now 22 and helps grandma plumb a sink, paint, fix the cars and so much more. Great article. I, too, had to reposition my quilting and sewing pursuits because of at least two people (one who knew me well) who ordered baby quilts and decided my prices were too high then went to the big box stores. Right now, I am teaching teens and preteens beginner sewing and quilting in a youth program through the public library in my city. The kids are, well kids, but after being shown what they are going to do they settle down and get to work. In the two hour session, not only are they enthusiastic about the project, they do their best to complete the Mug Rug. I believe this is my contribution to increase the sewing and quilting population. Perhaps those of us who are able ought to follow your example Dawn, and find ways to teach our young people the skills that used to be taught in schools. We can begin with out own children and grandchildren (or nieces and nephews) or with the neighbor’s kids if they show an interest. Even if there are no “official” programs available mentoring is always an option! Brilliant article, really looks at it from all angles. I love my quilting and have yet to sell a quilt as I give mine away as special one of a kind gifts usually specifically designed with that person in mind. As I make what inspires me, I can see that I might sell a quilt down the track if I decide not to keep a quilt once its finished and don’t have a donor in mind for it but I know that I will only accept a realistic price or it will stay with me. I don’t see me getting into making customer orders as I like to make what makes me happy and making the same quilt multiple times in different colours would do my head in! Fantastic article! I’m glad to read more truth about the value of hand made quilts vs. mass produced ones. I sell my quilts and, in the past, always questioned my prices. Now I figure in a decent wage for myself. The prices are still less than the total of materials, labor, and love that goes into making a quilt. Thanks for sharing! I was at a quilt show in Australia and was talking to this lady who was saying she admired the quilts. She added that she had asked someone to make her one and was upset that the quote was about $3000Aus. I told her that it was fair enough, I told her the hours involved, and about one I was making at that time (that took two years) and hundreds of hours quilting – she was dumbfounded. I doubt that she was going to pay that money anyways. Loved the article. I too have made a few quilts for friends – charged them what it cost – one gave me $20Aus on top for me……..that quilt probably tolld 20 hours – even though I did a simple design. Hi! Quilt seller here. 😉 I do agree with a lot of what you wrote, but there’s one aspect that I think gets ignored in this discussion – the value of the time with my children. Everyone says “we” need to be charging more than minimum wage, valuing our work as much as a plumber, etc. Well, the plumber can’t do his job at 3 pm while sitting with his fourth grader, doing homework. I can. The electrician can’t sit in the playroom all morning, sewing a quilt while occasionally helping build a train track. I can. AND I can binge watch Sherlock at the same time. So…do I deserve to charge more when I’m hand sewing a binding at a PTO meeting, or speech therapy, or any of the millions of places I sew binding? My husband can’t do his job anywhere and everywhere. I agree with what Kate is saying, with an additional thought. A single plumber or electrician is not charging $100 hr to keep all for himself. That would be a business rate. From that $100 hr, the tradesman would earn a portion for his wage, and the other portion would go towards other business costs (advertising, paying an admin person for payroll things, vehicles etc.). They don’t have a physical product to sell, they fix your stuff and only make money on the time they spend fixing it, so their time is the product. To to compare that a tradesman charges $100 hr so a quilter should charge more too because they are also doing a skilled job is an apples to oranges comparison as the basis behind the work is different. Not sure how tradesman get qualified in the US, but in Australia, you undertake an apprenticeship for at least four years before graduating into a fully qualified tradesman. The apprenticeship includes both on the job training and study while on terrible pay (lower than minimum wage but rises each year you pass). Just because a quilter takes a class here and there doesn’t give them the same level of qualification to justify they deserve the same level of pay. If you’ve been quilting for 2-3 years why do you deserve to be paid at an equivalent rate to the qualified plumber charging you $100hr, who at minimum would have 4 years of training for the job on top of being an actual qualified plumber? I’ve been hand binding a quilt over this weekend while watching TV, and honestly, if I were to sell the quilt, charging for my time to do so then I feel like I’m cheating the customer as they’re essentially paying me to watch TV. And how many people grumble while at a shop because the person at the register is doing something else to entertain themselves for a bit while working? So why is it okay for me to watch TV while I work – and charge for it – but it’s looked down on for someone in an actual workplace to keep similarly entertained during boring tasks. Sigh. Clean up accident, get fresh underwear, go back to sewing. And frequent potty breaks. Eventually give up, have lunch, and decide we’re going to the park this afternoon when the older one is home from school. Now, imagine I’m the plumber mentioned in the article, making $40 an hour. I show up at your house with my toddler and tell you I’m going to potty train him while I’m working on your sink. I then proceed to work/take him to the potty. I stop mid-work – water gushes everywhere – and race him to the potty, but he still has an accident. In your house. Couple of hours later, I’m still not done, but I tell you it’s a nice day – I’m going to the park with my kids. It’s cool if I come back after dinner to keep working on it, right? I would totally be fired. And possibly sued. And that’s why I don’t think I deserve $40 an hour, or even an “hourly wage.” I know how long a project will take me, and I quote price and deadline accordingly, because I don’t operate in a vacuum where nothing happens but quilting. I know there are quilters out there who have been quilting for years, decades, even. But saying you’ve been quilting for “five years” isn’t the same as an actual qualified tradesman who has worked for five years, as they work and train full time and for the most part, I think we quilters are casual sewists (sewing around day jobs, whether it’s a paying job or being a stay at home parent). It’s not the same level at all. How many of these quilters quilt 8+ hours a day 5 days a week? Being in a profession for “five years” working full time is a different amount of experience gained than only sewing for a couple of hours each evening for “five years”. BUT, you don’t have to charge the customer for the time you are potty training. For a while, I’d put a timer next to me and start it when I was working and stop it when I wasn’t. Also, if a plumber charges $100 to cover advertising, vehicles, etc…, you should be able to as well. Your machine has wear and tear that you have to pay for. New machines don’t buy themselves. You also have to pay self employment taxes. If someone is making $15/hour at a “regular” job, their employer pays a portion of their taxes. They also pay benefits & overhead on the employee. The labor cost somewhere I worked was in the range of $65/hour. The employees were paid somewhere in the $15-20 range (the rest was benefits, taxes, etc.). You need to take into account all of that when pricing. Don’t undervalue your work. Period. Just because you can work around your family’s schedule doesn’t mean your time doesn’t have value. Oh, and I don’t time myself for binding anymore. I timed a couple of feet at once and determined a price per inch and charge that way. I can relax and watch a little TV when binding & not feel like I’m overcharging that way. God bless you! You need to be paid double minimum wage! You are doing twice as much in half as much time — maybe that makes it four times as much as minimum wage! Never, ever underestimate YOUR value — have you ever seen the itemized value of the work that a wife & mother does? It’s quite shocking and a good thing that most women aren’t charging for that either. Enjoy your family and your quilting — that’s the value we cannot price out. I read your article and was impressed by how much time you put into researching it. have a small business selling quilts and am aware of how hard it can be to sell them. I appreciate the honest approach you took in your article, but I cannot help feeling sad. If we all say that something cannot be done then it never will be. What about the women who do successfully sell quilts? many of us have been dealing with this for quite some time — as quilt artists and as shop owners. It must have been a great experience for your to have “interviewed” all of the people you quoted here. Were they all together at one time so you could have a sort of panel discussion? I’ve talked to a few of these folks myself — in person… I’ll have to ask my friend about how the interview went. Awesome article. I loved every bit of it. For me personally, I would rather keep my handmade quilts myself then sell them for less than what they are really worth. My time is important and I should be paid for my work. I’ve spent thousands of dollars on a fabric stash, sewing machines, rulers, cutting mats, rotary blades, cutters, scissors, thread, batting, irons (I’ve burned out 4 in the last 2 years) , sewing machine cabinet, material storage, patterns and books not to mention courses I’ve taken to learn more skills either on-line or in person. In Alberta and British Columbia I have paid anywhere between $16.00 – $22.00 a metre for good quality quilting cotton and flannel. I WILL NOT make a quilt using the cheaper fabrics. I think of every quilt that I make as a potential heirloom and therefore make it out of the best quality fabric I can so that it lasts with proper care. Total agreement; great article. I’m concerned however, about the high cost to a beginner and how it would put them off even starting. Not to mention those who simply can’t afford it but who could mitigate against their poverty and make a modest living from it. (I live in South Africa and we have major poverty). I believe fervently in the idea that one can and should be able to begin without a huge layout. A very basic, inexpensive straight/zigzag machine and fabric offcuts. That’s how I started. Once the bug has bitten you begin to understand the benefits of the expensive stuff (and I now have the bells and whistles and the stash!) But a beginner should be able to try it out at low cost if we wish to promote and encourage handmade. Above article was well written and researched. I am a self taught quilter, along with watching Georgia Bonesteel and others on tv (1984) and it took me a while (and money!) to appreciate quilt quality fabric. So much time and care is taken in what we make, we really should be sewing for the ages. I do not sell my quilts, I would rather give them away to friends and family as gifts. For me, the real reward in making something is just to please the artist in me, to stretch my creative muscles a little more, to challenge my skill level, and the thrill of belonging to a sisterhood of women (and men), to learn a new and faster technique and the sheer artistry of what I have made and the satisfaction I get in the appreciation of my own skills. And yes, I have a very huge and expensive stash! What hurts my soul is that I am so alone in this. None of my family sews. And none of the quilt shop ladies lives near me. I cannot commit to a guild because of other reasons, and I do so long to have a close friend who shares my same passions. Check out Bonnie Hunter’s QuiltCam on You Tube. I play her videos while I am sewing. It’s like being on a quilt retreat in your own home. I, too, started quilting in the 70’s. I had no one to teach me, so I made it up. I didn’t even know that the quilt stitch is a running stitch and to this day I still backstitch when I hand quilt. That being said, I LOVE the entire process and quilt mostly for myself. I sell a few and give a few away, but it is truly in the doing that captures me. The challenges of learning new techniques, creating my own ‘patterns’…some of it ‘art’ some of it not. Learning to machine quilt on my domestic machine has been my biggest challenge so far, but I see more ahead of me. I have a girlfriend that I sometimes quilt with and dearly love the days we spend making up something new. I wish we could do more of it. While I understand her point, I wish Suzy would have chosen words that sound, perhaps, a bit less harsh. I get referring to a product as “low quality,” but it sounds judgmental when referring to individuals. I agree about that part of the article! So rich people who will pay 1000’s for a quilt are of higher quality than the quilty uneducated or the less wealth endowed customer? I know what you meant, but what and how it was said did come across in a judgmental way. OUCH. This part of the article resonated with me the strongest. I read “low quality clients” to mean people who don’t appreciate (and therefore are unwilling to pay a fair price for) high quality goods. Great article. I’ve only just begun quilting (finished my first two days ago), but I have seen this first hand with my knitting. People ask me how much for a pair of socks and balk at the price. Quite often good sock yarn costs around $25 per pair. I don’t think they realize that even though socks are relatively small compared to a cardigan or an afghan, they are made with much thinner yarn and contain thousands of stitches. I do point out that I have many pairs of hand knitted socks that are seven or eight years old. I’m not sure you could say the same for the life expectancy of a pair of Hanes. This article eliminated the last shred of guilt I have felt about NOT trying to sell my quilts. Every time I think I can make one ‘on spec,’ somebody has a baby or a round of chemo and I get sidetracked. When a close friend — someone I would make a quilt for anyway — asks for something, like a bed or tshirt quilt — I charge them for materials and am happy to get the $$. Otherwise, I follow my impulses about who in my life next *needs* a quilt. Thank you for a great article. I have never sold a quilt and after reading this I probably never will. I have designed and made several baby quilts as gifts. After many times, often not even receiving a thank you note, I quit! Now you tell me they are even more valuable than I thought. Thank you, again. What is a good answer when someone inquires about buying a quilt? A lady offered me $285 for a hand qppliqued and quilted queen size. I was speechless. 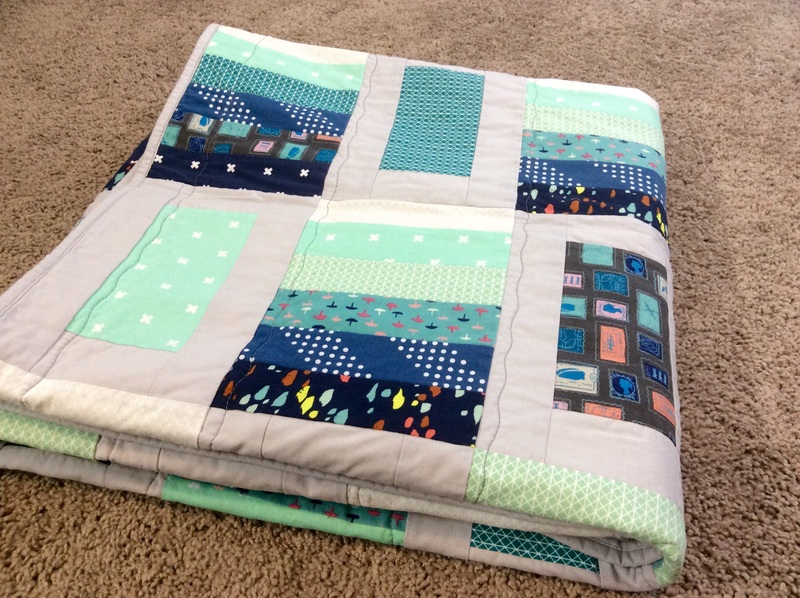 I’m a NEW quilter… Also a full-time employee, mother of a 5 year old and wife. Time and finances are definitely a factor for me and my ability to quilt!! I wish I had more time, energy and whatnot to invest in quilting. I’m so grateful for free video tutorials, as I’m a visual learner and books are just “too much” for me. Thanks to Jenny’s (from Missouri Star Quilt Co) enthusiastic, simple tutorials , I decided I would try quilting and am FINALLY finishing up (binding) my first two quilts. (Yes, I AM certifiable! lol Two twin size quilts at once for my first quilt making experience.) It has taken me 2 years to get this far. I’m pretty certain my next quilt, a full/queen-size for my daughter, will only take a few months because I will actually know what I’m doing. 🙂 Hopefully, this interest will turn into a passion because my “patterns I wish to make” quilt list is about 50-75 long already and my stash is growing! Just a few random thoughts -there is a limit to what people will pay to put on a bed, no limit to what they will pay for art to hang on their walls. Teach a class and/or create a pattern and you will make more for your time than selling your creations. Making samples will satisfy your need to fondle and sew fabric. I have given special family and friends quilts that I have made. The rest are stacked on a queen size bed. I will not sell them, I will give some away. When I die, my children have been instructed to keep the ones they want, take the rest to my memorial service and let my “guests” pick and choose. The rest will be either donated to a nursing home, or to a charitable cause such as Ronald McDonald house or some other such place. They give me enjoyment. I also make my grandkids pajamas twice a year–winter flannels and summer weight cottons. I make my own shirts because I like to have original fabrics. I sew because I like to sew and tell folks it is cheaper and better for me than drinking or smoking! I absolutely loooove the idea about giving your quilts to guests at your memorial service!!! I think I will borrow that if you don’t mind. I have made gift and commissioned quilts, and can identify with those who complain of the pressure involved in filling an order. I have also made charity quilts for auctions, but will no longer do them as they don’t get nearly what their worth. I’d rather just give a monetary donation. By far I get the most joy from gifting my creations!!! I enjoyed your article very much! A lot of food for thought! I moved to Lancaster County, Pa. from N.Y several years ago. take classes. I have learned a lot since then. The shop that sells the quilt can get up to 40% of that sale. $400.00 for that beautiful Queen size bed quilt. And so it seems we’re all in the same boat! Fabulous article! I agree with you on every point. I don’t sell my quilts because I can’t sell them for what they are worth. When someone asks me to make a quilt, I simply tell them, “You can’t afford me.” Then I explain that my most recent quilt was appraised at $4,500, and that usually ends the conversation. Most people just don’t understand. All we have to do now is get the non-quilters who think they want a quilt to read this article! Not only is the article well researched and written, many of the comments are also helpful and useful. Much food for thought here. First let me say, I can’t believe you work full time and produce so many detailed quilts. I envy your talent and speed. I must confess I am one of those people who sell my quilts for cost of materials and a few dollars extra in order to buy more materials. Quilting is my hobby but I live on a fixed income with no extra for supporting my hobby. I am fairly new at quilting so feel my quilts would not sell as well as those who are much better than I. Add to that the 1000s of quilts listed on Etsy and I sell very little. I do sell “loss leaders” to help defray cost but hate making them. Great article! Even my best friend of 30 years has no idea what it takes to make a quilt. I spent all weekend on a paper-pieced Christmas tree wall hanging, in batiks, no less, and my friend said I could sell that at a craft sale for $6.00. No, thanks- I think I’ll keep it! Every aspect of quilting has been commodified at least since the Depression era when fabric companies went south to exploit the cheap labor to produce the samples which would go on to help sell their magazines, patterns, books, and fabrics. Fast forward to today, and without the “quilting industry,” there’d be no perceived need for $13,000 home sewing machines, rotary cutters, mats, and all the other accessories that have sprung out of that since the bicentennial. I see quilting as a folk activity. In earlier US history, talented quilters could barter for canned goods, repairs, or even livestock. Our grandmothers or other talented family members taught us their favorite methods. It was a way of being together, re-purposing some of the leftover fabrics from sewing and/or old clothing, and generally staying away from the world of commerce. (Did people buy fabric for “fancy quilts?” sure). For commercial quilters (those who aim to make a living off their craft), it’s what the market will bear. It’s not the cost of fabric, machines, or effort that was spent in making the commodity. You can educate, you can increase exposure to “upscale” customers, but all those things cost time and money too. You kinda can’t have it both ways. I agree, most people don’t care how much time and skill you invest in something handmade, they want a “bargain” like they find in Walmart. Personally, I will NEVER think Walmart is what I am entitled to. I am worth so much more. People are taken aback when you quote a reasonable price – many years ago I was asked to sew a First Communion dress for a friend. When I told her how much it would cost, she responded “I can buy one for less.” I didn’t flinch, just told her to buy one, then. Now I quilt, but my quilts are made for friends and family (all my Red Hat sisters got a personalized red-hatted Sunbonnet Sue for their 60th birthday – I forgot to make one for myself, must rectify that soon!) Baby quilts for friends’ baby showers, quilts for my kids and grandkids, it fills my creative soul and makes me happy! I made a quilt last year for my church’s Christmas Bazaar, a simple rainbow disappearing nine patch, bright and happy, No one even gave the opening bid, which basically covered the cost of fabric . So I took it back, fixed the label and gave it to my dear friend, almost 99 and in a wheelchair, for Christmas. It was much better to give it to someone who makes good use of it instead of watch it go for nothing. I value my time and artistry and share it with those who understand and value me and my skills. And someday if someone wants to buy something I have made, they will have to accept that I know what my quilt and my talent are worth. Nothing less. Thank you for this article. I have been toying with the idea of selling quilts and pricing them accordingly. I’m a quilter and crafter when I have time, as I’m a stay-at-home mom of two small homeschoolers. I sold one quilt, just for the cost of fabric, since it was a memory quilt with t-shirts and the first one I had done like that, ever, and it was for a friend. This article was very helpful. Thanks again. As the owner of a fairly small quilting business that caters to hand quilters, (www.handquiltingsupplies.com/) I know for a fact that my customers are mostly NOT in the market to sell their quilts when they are completed. Hand quilting any size quilt is a laborious process! I have tried to document all the hours that I put into a quilt, but have always given up adding the hours as it is a tedious chore to keep track of them. The cost of quilt-shop quality fabrics and supplies alone usually put the cost up higher than one can buy in a department store in the States. I will not give my quilts away unless it is to family or very close friends. I agree that it is important to factor in your labor and skill but I have found that skill is very relative to who is judging it. I managed a fabric store for many years and was privileged to see some really wonderful creations. I also saw people come in raving about the gorgeous quilt they just made and found their work to be far worse than the big box quilts. It’s impossible to put a one size fits all formula to pricing quilts. What I learned from this article was that I can’t buy a really high quality quilt, even though I would love to – and wouldn’t balk at the price for an heirloom item. I do understand the quilters unwillingness to sell them, I’m just sad. Jen – thanks so much for reading! If you haven’t tried quilting before, I would encourage you to give it a shot! That way you can make your own quilt in any colors/patterns that you like. Making your own quilt is so much more meaningful than buying one and I can promise you – it’s TONS OF FUN! Once you start, you won’t be able to stop. I’m actually going to do a post on how to really start sewing/quilting. I enjoyed reading your post, which was linked on the LibQuilters Yahoo Group. You wondered about a $6K fabric stash. I have been a quiltmaker for 20 years. I have approximately 4500 yards in my stash right now. I rarely pay full price because I shop at thrift stores, estate/rummage sales, and quilt shop sales. I track my purchases and my average price per yard is $2.77, so the 4500 yards = $12,500. Even at 50% of the current average price ($12/yd), those 4500 would cost $25K to buy new. Re: selling quilts below the cost to make them. What are quiltmakers supposed to do with the quilts they make? If they give them away then they get no money for their efforts. If a quilt uses approx. 12 yards (top and back), then my 4500-yd stash = 375 quilts. That doesn’t count the already-completed quilts and the flimsies (unquilted tops) that I have on hand. Where would I put them all? I donate about a dozen quilts a year to community groups and agencies as fundraisers. The only reimbursement I get the cost of long-arm service if I use it. I make one or two commission quilts a year, charging what the market will bear. And on occasion I sell a couple of quilts. It gets ’em out of my basement and onto a bed, somewhere. Years ago I went to my first quilt show in Paducah and stood admiring the quilt that won BIS. The quilt maker was there and somebody asked how long it took her to make her quilt. Mind you, this quilt was bought for the Quilt Museum and she was paid $28,000 for it. She said she worked on the quilt forty hours a week for two years! I knew then that I would never make money quilting. I’ve had total strangers ask me if I would make them a quilt. I just tell anybody who asks that they can’t afford me. Then I proceed to tell them about the price of fabric, batting and longarm services and point out that that cost is with NOTHING for my time. They are shocked. I have made quilts and sold them but I set the price that I feel is fair. And I never even discuss a custom quilt with anybody. I love quilting and I want to make the quilts I like using fabrics and patterns I like. If it becomes a job, there is no more fun in it for me. To tell the truth, I don’t want to make quilts for anybody I don’t like. There’s love in a quilt and how can that happen if it’s made for a stranger? I quilt because I love the craft. I don’t make them to make a living. I think when you do something that you love, it shows in your work. I don’t think I will demand more money because I know people won’t pay it and part of the thrill of the craft is knowing your artwork is out there somewhere! I pay the plumber $80.00 and hour because I have to have plumbing! But I DO mind! It is outrageous and he can take advantage of me because I have no choice! I don’t have to have that $350.00 baby blanket, so I will not buy it! That to is outrageous, and it is not required to live.! I would never consider try to sell one for that! And no one in my circle would either. I hate to tell people that they can’t have a hand made quilt because they are not rich enough! When we moved to this area, I determined to make a quilt for every new baby at our church. By the time we left there, eight years later, I had made over 50 and given them as gifts. Even tho I only used “big box” fabric (most of these mommies had no clue how to care for a quilt so I didn’t want to spend big bucks on them) I estimated each one cost at least $50. My great granddaughter’s mommy asked me to make a queen size for little one’s bed and when I told her the fabric would come to about $200, she remarked, “That’s INSANE!” When she and our grandson got married two years ago, I made them a gorgeous qsq batik queen size and had it custom quilted. I notice it’s lovingly handled and she plans to hang it on the wall (with a hanger that my hubby will make). I think she got the message! I make quilts for my own enjoyment and as special gifts for special friends and family. A terrific and “must read” article for any quilter and/or seamstress. Loved hearing your “Mary Fons” stories…she’s a favorite of mine, too. My grandmother quilted, I remember ladies coming over to her house and sitting around a large table and hand quilting the quilt by hand. When I go to Lancaster,Pa I still some ladies quilting a big quilt, or a space is made for any one to sit and try. My mother sewed most of my clothes when I was little, she even picked bags of chicken feed so that I would the very best outfit. I remember I wanted store bought clothes. As I watched her sew, I remember thinking that I could put 2 pieces of material together and make something too. And I did. I made all my clothes for a long time until I gained too much wait and nothing fit at least my old patterns didn’t. Then I did Georgia Bonestell quilt design at a quilting class in 1989, in the summer time when it was to hot to sew and was the only who completed it too. I don’t do well in doing thing in the hot weather and humidity. I have special place to sew at anytime, 4 machines, and sew just about anything I want to do, but I also have income tax office that takes my time when I would be sewing. I cannot sell anything I make either, I can make them for someone and give it to them and really hope they will treasure it and not abuse. I have felt some blankets, guilted, that feel like they are sewn with wiry thread and to me a quilt should be comforting. Each of us is doing something we are proud of doing, and I for one want it to be the very best that it can be, it is a work of art to be past on with love and good wishes and to be treated as such, to be loved and used by the baby it was made for or for the older person for comfort. Which is probably why a lot quilters are quilting all the time they can and giving and giving them to the police dept, hospitals, the several charities that can pass them on to someone who really needs the love that those quilts are made with,pass it on, pay it forward. It seems this old world wants everything for nothing, no respect for the other persons ability and that is so sad. Very well written article! I need to refer people to this when I am asked how much I would charge to make them a quilt. My response is usually, as sometime else commented, “You can’t afford me”! But I will quickly tell them that I would be happy to show them how to make their own. I haven’t had anyone take me up on that yet. I do teach technique classes at times, but my students are rarely beginners. I make baby or lap quilts as gifts for close family and friends and I make kid quilts for Project Linus. Thank you for this article. I make quilts for myself, friends and family. I couldn’t charge enough to make it worth my time to sell them. They are a gift of love. I loved reading this article, I do have a shop on Etsy (happyquiltdesigns) and I do sell my quilts. I made about 90 quilts and wall hangings last year. Pricing is hard, my husband says I don’t charge enough! My quilts cost from $250 to $600. Every year I am able to raise my prices and I still have too much demand for my work. This is a good place to be but I know sewing like this is physically a lot of work. I was trained to sew industrially so I do work fast, so that helps. Because I make t shirt and memory quilts people seem to be more willing to spend the money especially when it is for a special gift like a graduation. In this article it would have been interesting to have heard from someone who is making a living from selling quilts. I am now looking to teach and so reduce the number of quilts I make. I do also teach children to sew and make art quilts as I also feel this craft needs to kept alive. Your article on quilting is very good. I believe the people need to be educated on the different fabric quality. Wall Mart isn’t the same as a quilt shop with Moda etc. Even joanns fabric is on wall mart level. Almost the first run of fabric. If you are going to put all that time in making a quilt for yourself or someone else why would you use cheap fabric that will not hold up after a few lashings. Better fabric will last a lot longer and become a heirloom. I am dini from Indonesia, so pleased to read your article. I do quilt just for fun. Not for sell. I love the process, even though most of them are not finished. :(. There are so much thing to learn in order to become a quilt expert. In Indonesia itself, quilter is very rare. But I believe the industry is growing, because the younger have opportunity to learn more and more through internet. Moreoever, the variety of fabrics is so adorable nowadays. they are easy to find too. You are right about “quiling is very expensive hobby”. I should think twice to buy tool and kit, most of them are import from U.S. However, I buy them.. LOL. Your article ispires me a lot about quilting and want to learn more. this is a great article that everyone,not just quilters,should read. I make a baby quilt for every niece and nephew that has their first child to be passed to any children that follow. I also make a hand quilted full size or queen for each grandchilds graduation. If someone asks to have a quilt made I give them the pattern list of fabrics they will need and let them purchase them so they realize the cost. I then charge for labor. I was so glad to read this article! All this time I thought it was me! For a while I tried to sell handbags. I used fabric from a furniture store, and from samples from fabric stores. Nice cottons, and fancy taffetas. Then I would couch over them with fancy yarns and add charms and trims. I didn’t know what to ask for them. They took days to make, but I enjoyed it, thinking I would be able to sell them more easily than a quilt that takes MONTHS. But that was not the case! I did sell a few, but for around 35-60 bucks! Granted the fabric cost me nothing, but my time!! Not to mention the time to set up a website! or the time to go and spend all weekend at a craft fair! YUCK> I just wanted someone to want to buy my item to validate that they were beautiful and useful. Whenever I use a purse I made I get tons of complements, and asked if I sell them. But when I am selling them at a HUGE discount, very few buy. I don’t get it! Why are people more willing to buy a ugly purse with someones initials all over it, made over seas rather than a hand made work of ART? For less even than the designer bags? Needless to say I stopped making bags to sell. I give them to family and friends, just like in the article above. They value and appreciate my time and gift. This is a hard lesson to learn, but I really do think the money is in selling supplies to crafters than selling finished items to an ignorant public. I would rather be sewing than selling any day!! I love to sew! I taught myself on an old Singer treacle machine in our basement when I was young. Made head scarves!! Made a living in sewing factories till they closed. Sewed clothes for my children, their dolls and anything else from curtains to upholstery. Now I am retired and help my friend with her handmade bag business and am gathering material to quilt, just to say I have done it. When I was a Girl Scout leader, my troop made a patch quilt, where each girl made a patch about themselves and we gave it to a girl who had MD at a nursing facility and made her an honorary member of our troop. My last thought is just to keep on sewing!!! I agree with a lot that you write. I rarely try to sell quilts anymore – as I am mainly a hand quilter and a lot of my piecing is done by hand also it can take me 80 hours just to make a baby quilt – and that time can go close to 500+ for a queen size – no one want to pay $10 an hour just for the labor and when you toss in the cost of fabric and supplies – well – it is easier to teach someone how to make a quilt! Thanks for a well-written article. I have actually sold a few quilts, all special order. I charged $15 an hour, and the quilting was done by a long-armer, not me. The last two were both king-sized and my fee was upward of $800 each, and the long-armer was in the neighborhood of $400-$600 each. I have been fortunate in that the folks asking me to make them a quilt have appreciated the cost of the fabric, and my time! Thank you for the great insight and all the helpful comments. I too have quilted for many years and have sold some items. I was given advise from my Aunty who was making and selling quilted and craft items some years ago about how to price your work and gain a reasonable price for what you do. When you have completed your item, work out how much fabric went into it (remembering that there are three layers) and then double it. As I love making table runners and have sold many with doing this way of gauging a price, it makes it very reasonable and you get the cost of the materials back. Most people are very happy with the price. Thank you for writing such an insightful article. I will be sharing it with friends who are crafters of all kinds, not just quilters. Do you think part of the problem is that quilters can be too modest of their own achievements? Handmade quilts are boutique items and we sell them at mass market prices. We need to encourage all quilters who want to sell their work to ask for the price it deserves and occasionally accept that a no sale is better than a sale at any price. This is a topic discussed among quilters throughout the 25 years since I made my first quilt, and it is good that it you have resurrected it again for the younger crowd. I came from a background where I learned to sew from my mother when I was a child. Few children have that opportunity now, so I encourage any of my family members who want to learn. You never know where that skill will take you. I have not sold any of my quilts for the very reasons discussed in the article. I make them because I want to and can afford it. The pleasure I receive from making quilts cannot be measured only by the economics; they fill my soul. I’ve been quilting since the early 70’s and I have never sold a quilt. Recently, a friend of my d-i-l asked me about one of my quilts that I had just finished, I thought she was going to pass out when I told her that $300 would be the least. Now, mind you first it is a twin size, second it isn’t perfect or show quality. It is very colorful, but I would not purchase it, however; I know the cost of the supplies I used and the time and energy that went into to finishing it. So, my feeling is that I would rather teach somebody how to make their own quilts than to sell mine. Totally understanding the thinking in the article. I am new to quilting, I started about 10 years ago. I don’t sell them because I want to make what I want. I tried asking a friend what sort of quilt they wanted – big mistake. Her favorite color was one I hated. The whole experience of making that quilt was so unsatisfying I vowed to never do it again. But this article is very good. Thank you! This is a fabulous article! It lays out the facts in plain language for everyone. I think part of the lack of new quilters is not only not learning at home, it’s also school districts deciding that “home arts” are no longer important. With the emphasis on testing, students aren’t given the time or training to work with their hands. When people ask if I sell my quilts, I usually tell them they can’t afford me. I do make quilts on commission, and I know I don’t get paid what I’m worth. I’m lucky in that my husband has taken up piecing, which frees me to do my longarm quilting. He does it only on his time off, so he’s not taking time away from his “real” job. Outstanding article. I want to refer everyone who has ever asked me to make a quilt…right here! I own one of those wonderful Amish quilts. My wonderful siblings gave me money so I could go and pick it out myself. It’s beautiful. I am a quilter and would not sell one of my quilts for cheap. I love quilting and enjoy sharing them with my wonderful family. Start-up costs need not be prohibitive, even without an older sewer in the family. One can easily find old sewing machines in second hand stores, and on various on-line venues. I am part of an on-line group that gives and receives things FREE. One person is done with sewing, or upgraded, and needs space for the new machine, and someone else benefits from the old one. From there, one can gradually upgrade. It need not be scary expensive, is what I’m saying, to start at the beginning. I will be forever grateful to my grandmother, my mom and my home economics teacher for teaching me to sew, and infecting me with the “I could do that” bug. I recently sold a quilt (at a fair price – I sent my customer to the Molli Sprinkles website to understand the pricing) & it was so stressful – she even gave my carte blanche with design/time etc. So I’m with everyone else who says not to sell. Excellent article! I have sold one baby quilt in the past. I sold it for double my materials, and didn’t take into account my time., something I probably wouldn’t do now. I didn’t mind at the time, since it was sold to a friend for a baby gift for her friend. I know it was loved and appreciated. I think if you become an award winning quilt maker you may be able to sell your work for a good price. I love the design process, so I am working towards creating patterns so others can create their own work. I also like to write, and have begun blogging some. I have sold hand made origami jewelry in the past. If you are interested in quilting, you can gradually purchase tools, as you find sales on items. Equilter.com has excellent fabric sales around the holidays as well. I also purchased a Brother Pq1500 sewing machine from a relible sewing store online for $599, which would have cost me $1,000 at a local store, so there are ways to become a quilter, without breaking the bank. My first sewing machine cost $50 used, and I was able to create quite alot with it. Just by economizing you can have fun pursuing quilting. Interesting article. I’ve been “sewing” all my life, it seems. I started making my doll clothes by hand when I was about 11 or 12, bc mom would not allow me to use her sewing machine unless she was at home. I took 3 yrs of Home Econ classes in HS and loved it. I have regretted not becoming a HE teacher. My mom quilted with all the fabric scraps she collected over the yrs from making clothes for 3 girls. I have made a few quilts I love to hand embroidery and I used to make all my clothes. If I make a gift for someone, like a pillow or something with hand embroidery I’m very careful who I give it to. I want to make sure that person will appreciate the time and my skills to make a project and take care of it. I do not give my quilts to anyone outside my immediate family. If a person does not sew or has no knowledge of the process, time, and money they can’t possibly understand what it takes to make something beautiful. And the uneducated (about quilting/sewing) public wants something for nothing. thank you for allowing comments. Not everything on Etsy is handmade. They accept items that are made in the far east for pennies. Do not assume that because something is sold on Etsy that it is NOT made in a sweatshop! For a while I was making custom wedding dresses and didn’t know how to price them. My daughter-in-law, who is in the garment industry, gave me the formula. The cost of the materials, the cost of the materials again for labor, and the cost of the materials again for profit. In other words, three times what the materials cost. This is standard industry pricing, I’m told. I don’t see why this couldn’t apply to quilts as well, so that kit I paid $150 for would sell for $450 finished.. It is an age old dilemma. The cost vs value vs asking price. That is why I don’t sell mt quilts. All my show quilts are appraised at insurance values of $4,000 – $5,000 each. I would be difficult to sell any of these at the “insurance” value, but that is what they are worth to me. I make lots of donation quilts and gifts but just can’t handle the stress of selling one of my babies for less than they are worth. Thanks for sharing this post. I sold one quilt and it was to a guy who wanted one of my quilts for his wife’s birthday. I kept saying no and finally gave in when he kept asking. I included a letter to the wife with the quilt letting her know that I appreciated her bragging about my quilts to her husband and that my quilts weren’t perfect and that just made them unique. She showed up at my place on her birthday and gave me a big hug and said it was the most beautiful gift that she could have received. Every time I post a picture of a new quilt that I have finished, she is the first one to comment on them. I agree with your article. Most do not understand that if they can buy a “quilt” @ a store for 50$ why a hand made quilt is so expensive. I make quilts because I love to. I give some to family and friends because this gives me joy. Also I give an appraised quote to them so they know how much this quilt is worth and along with this I give a booklet on how to care for quilts. That way they understand what they have received. I feel that it depends how a person is going to use the quilt. If it is going to be used everyday and washed often and they realize that it is not an heirloom, then a cheaper quilt is fine. I find it both amazing and amusing that so many people are clueless about what goes into making a quilt by hand. Doesn’t anybody consider your labor, costs and time anymore? Like most other quilters, I often spend over 100 hours + on a machine pieced and machine quilted bed quilt. Now, if I machine piece and hand quilt that same quilt it more than doubles my time or sometimes triples my time depending on quilting design and size. When custom hand quilting a quilt top, I charge by the thread length. I cut the quilting thread into 36 inch lengths and charge $1.50 per length. In addition, I will finish off the quilt by hand binding for .30 cents per inch. It’s all up front so nobody is in sticker shock. Late to the party here, but fabulous article! I found it so helpful. I have never sold a quilt, but am donating my first quilt for a big charity auction and was asked to put a “fair market value” on it. It wasn’t a terribly difficult pattern, but I had no idea how much to value it for; because I know my time IS worth more than folks realize (thanks to my daughter who suggested I turn to the internet for help). Thank you for time in writing this piece! Very informative. I found it interesting from beginning to end . Wonderful article…..I share all your feelings! People appreciate handmade but do not want to pay the price….they do not understand all the implications such as quality material, time, effort, originality, but most of all made with love. That is priceless!! Really enjoyed reading the article and the comments. I have tried to sell tied comforters and couldn’t get my price so I finally gave them to family. I think one problem is that women have not been taught to value themselves and their work. My mother would ask if I was keeping busy when I made quilts. I had a patchwork shop and women would ask me what my real job was. Men are trained know their value. Seems to me that when men make quilts the quilts have value and are sold at a fair price. It does help to know that I am not alone is trying to sell a quilt at a price that includes my time and skills. I have been a quilter and designer for 30+ years.